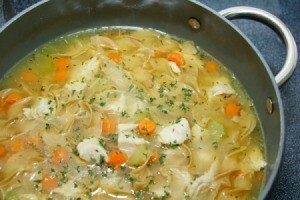 Soups containing meat and poultry often have excess fat that you would like to remove. This is a guide about removing fat from soup. Whenever we watch cooking shows, my husband sees those handy dandy fat separator tools and asks me if I want one. I'm perfectly happy with my way: put ice cubes in a ladle and skim across the fatty top of whatever you're separating. 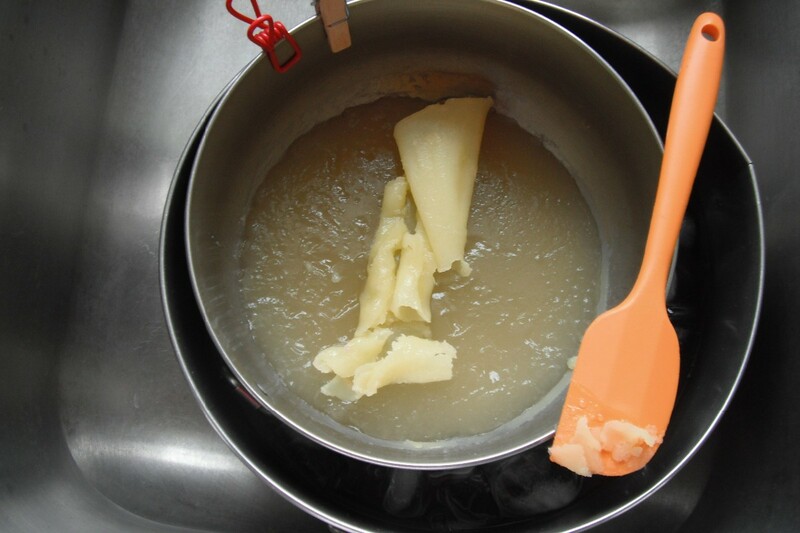 The cold will get the fat to congeal in the ladle. Just like a magnet! Usually when I make chicken and dressing, I cook the chicken the night before and separate the broth from the chicken. 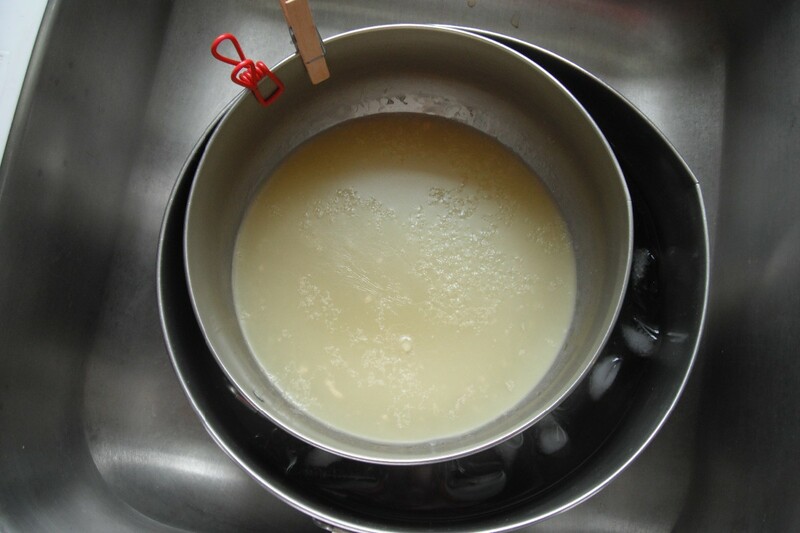 The next day after refrigerating the broth, I'm able to skim off the fat off and discard it. Today I needed to make the chicken and dressing in a hurry, so I put the hot broth in a small mixing bowl. I set it in the large mixing bowl with ice and cold water, and let it sit for about an hour. In that time, the broth had set and I was able to skim the fat off to make the chicken and dressing. I recently boiled a whole chicken to use later for chicken salad. I wanted to save some of the broth but did not want to fat/grease that I usually get in it. I put a narrow bottomed funnel in my jar and put a coffee filter in the funnel. I ladled the broth into the funnel, letting broth drain to bottom. If the filter seemed to be getting full of the fat, I changed the filter. I saved a half gallon of broth and no fat, even after being in frig. I suppose this would work with beef broth, too. 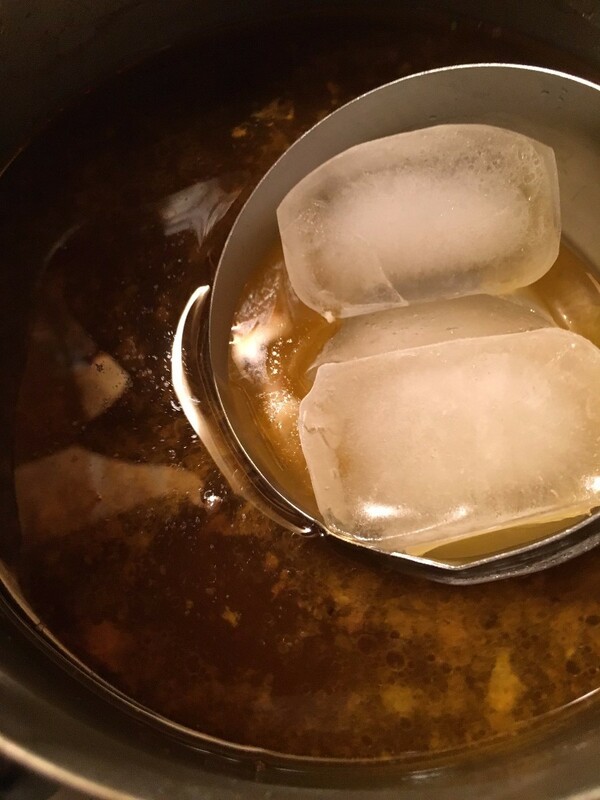 To remove excess fat from home made vegetable beef soup (or other fatty soups) quickly dip, then remove, an ice cube or two into the soup (keep the ice cube at the surface, and do this quickly). Fat will stick to the ice cube. Place a leaf of lettuce on the surface of soup to remove some of the fat. Discard the leaf before serving soup. To de-fat soup or broth cans, put them in refrigerator over night. Open with a can opener and remove fat collected on the lid, sides, and bottom of the can. 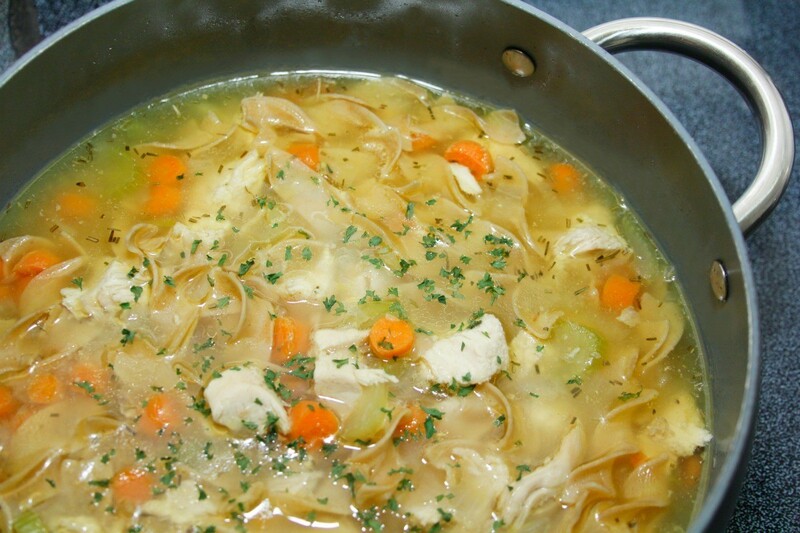 To skim off fat from Chicken Soup: 1. Refrigerate without lid overnight. 2. Once fat is settled to top, take a large piece of Saran Wrap and lay on top of fat. If you cook soups, stews, or pot roasts that have fat in them, there are a few simple ways to get the fat out while leaving the flavor in.